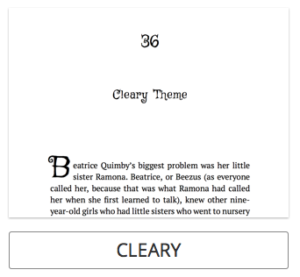 Writing a book for younger readers? 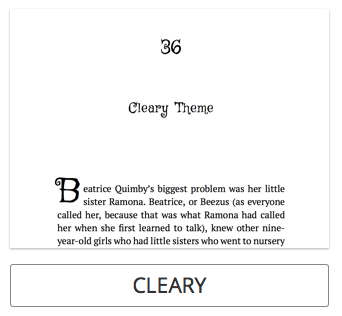 Try our new Cleary book design, named after Beverly Cleary. With Griffy as the title font and Neapolitan font for the text, the theme is perfect for fun books that stir children’s imaginations. See our Pressbooks Themes page for more free Pressbooks themes.